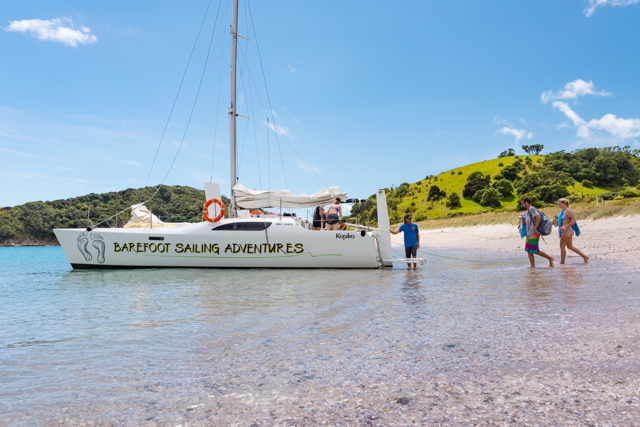 Bay of Islands day sailing trip with Barefoot Sailing Adventures. 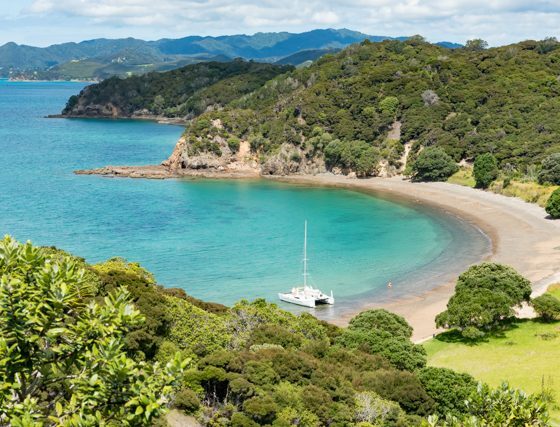 The Bay of Islands is a truly magical place to go sailing, with its myriad of some 144 islands, its calm, pristine waters, golden sand beaches with islands to explore and an abundance of marine wildlife of birds, seals and dolphins, add of course, the stunning scenery. 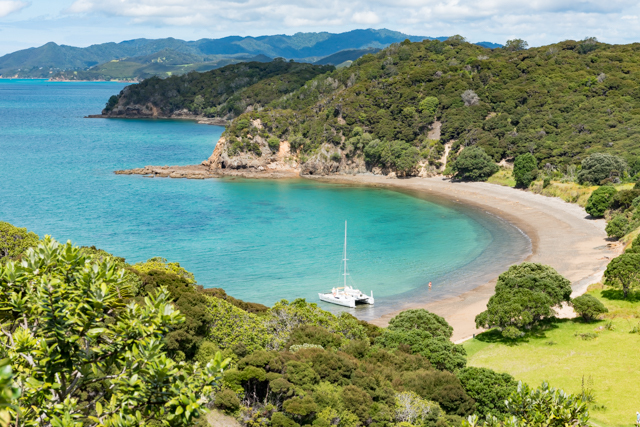 All of this makes the beautiful Bay of Islands a world-renowned sailing destination and offers an opportunity for visitors to experience for a day or longer sailing aboard our boat, “Kopiko”, a modern 33ft spacious catamaran, which offers a comfortable sailing experience for everyone – you can bring the whole family! 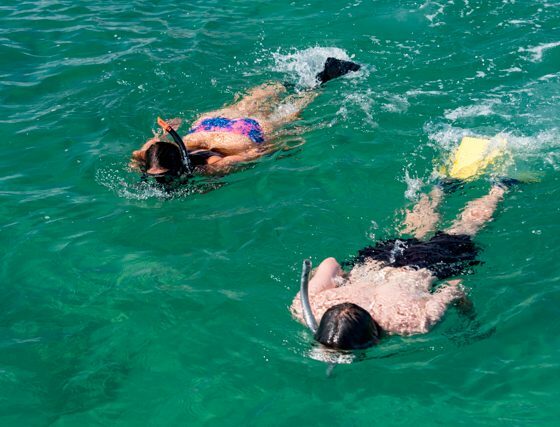 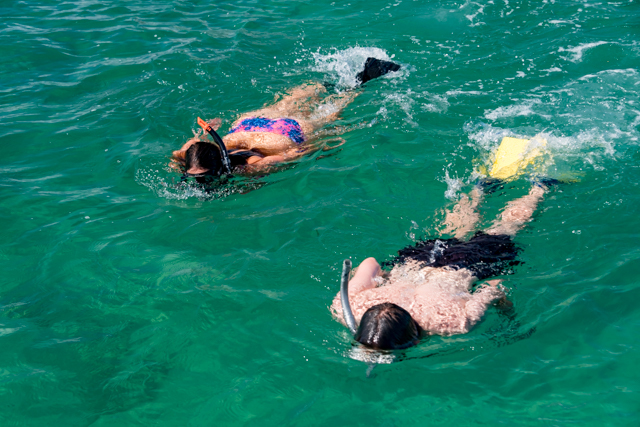 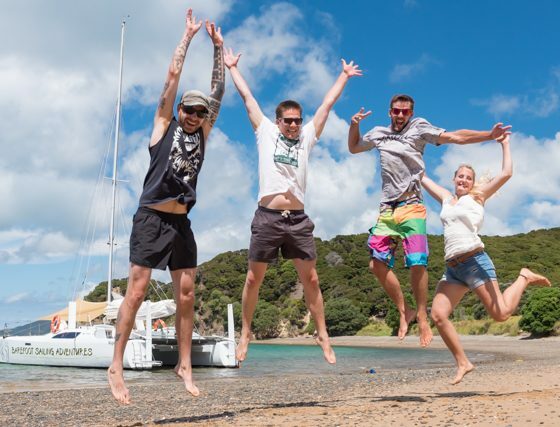 Let our experienced and qualified team take you on an adventure – with us you can explore hidden bays and beaches which are only accessible from the water. With photo-ready scenery everywhere you look, make sure you bring your camera to capture those once in a lifetime pictures. 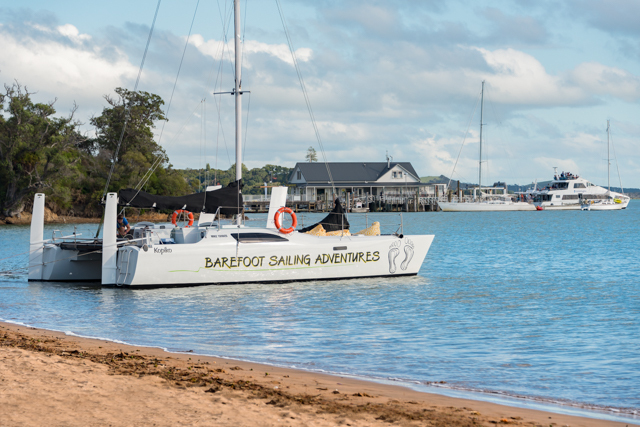 Departing from Paihia beachfront at 10am, the boat pulls right up to the beach where you can step aboard from the shore line. 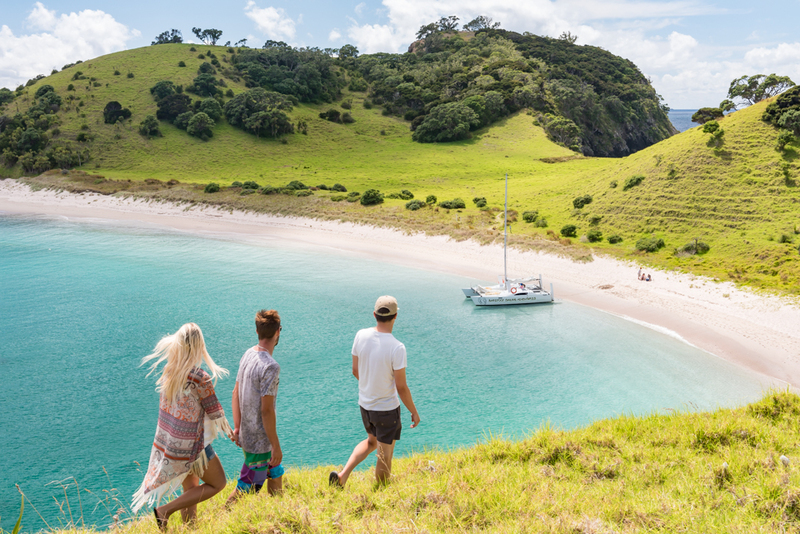 We set sail for our day’s adventure – wherever that may take us! 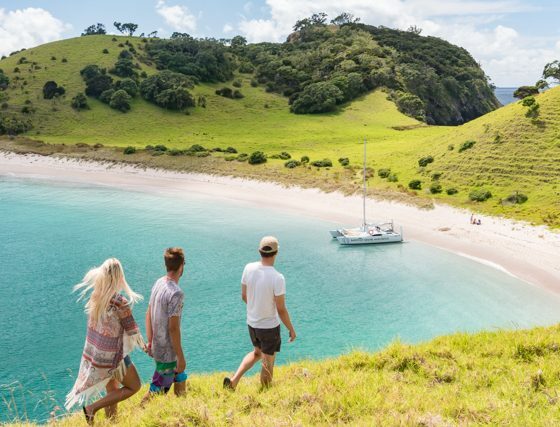 With 144 islands, we really are spoilt for choice as to spectacular destinations for our day sailing adventures, we have our favourite spots of course! 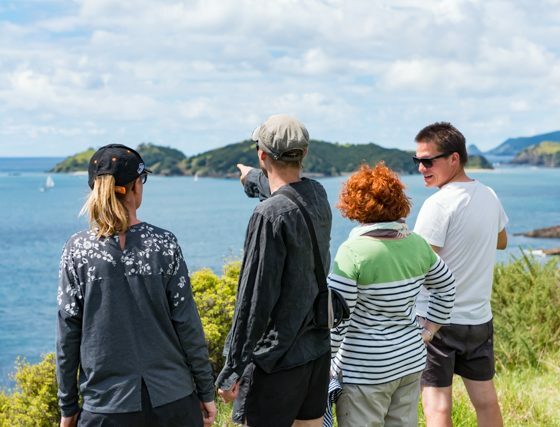 Roberton Island, Urupukapuka, Motuarahia, Moturua to name a few. 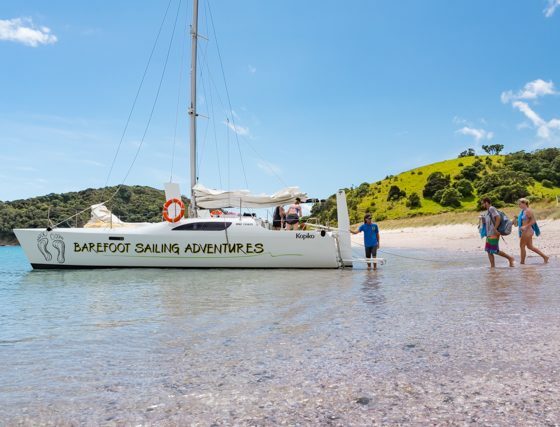 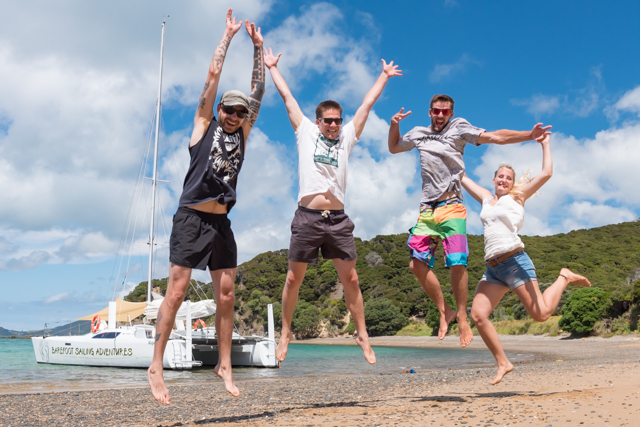 Bay of Islands Barefoot Sailing Adventures – Island Hopper Day Cruise. 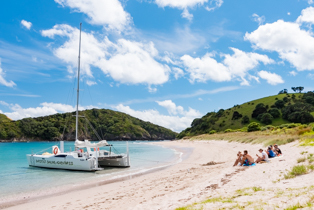 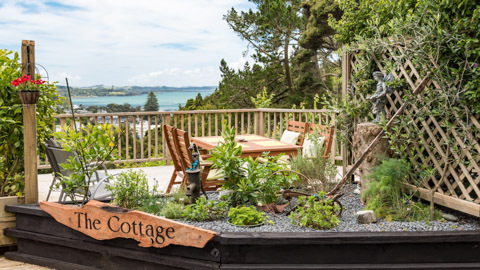 The boat anchors right up close to the beach where you can step off and enjoy a delicious packed lunch at a stunning picnic spot of your choice. 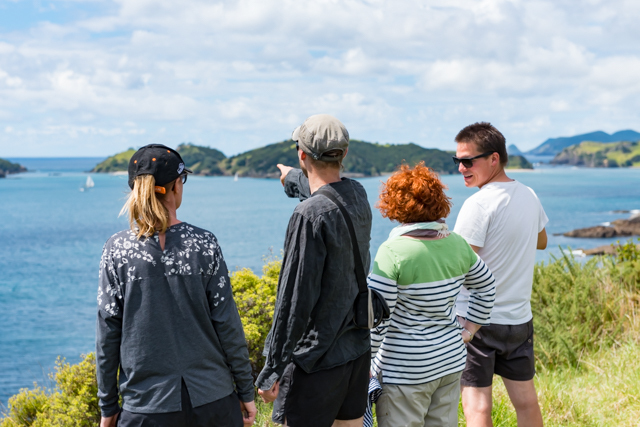 There are short walking tails which can you can follow to find picturesque views wherever you look. 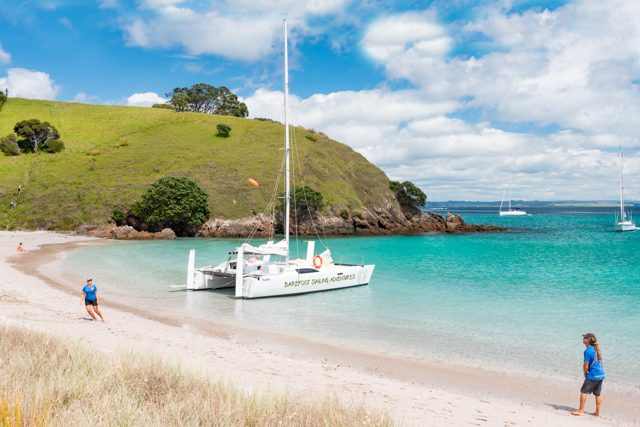 Enjoy a refreshing swim or simply dig your toes into the sand and relax – the choice is yours! 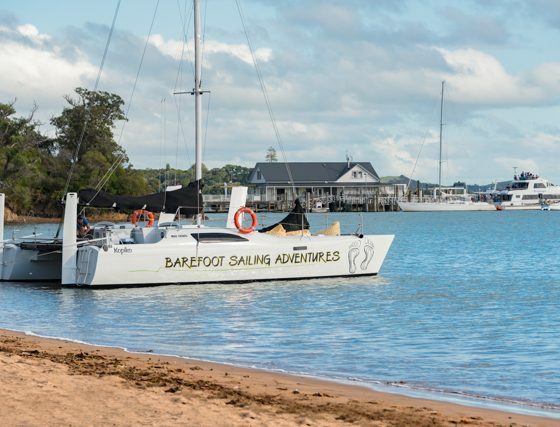 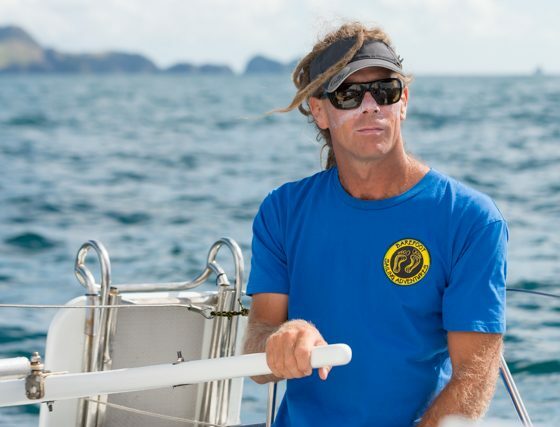 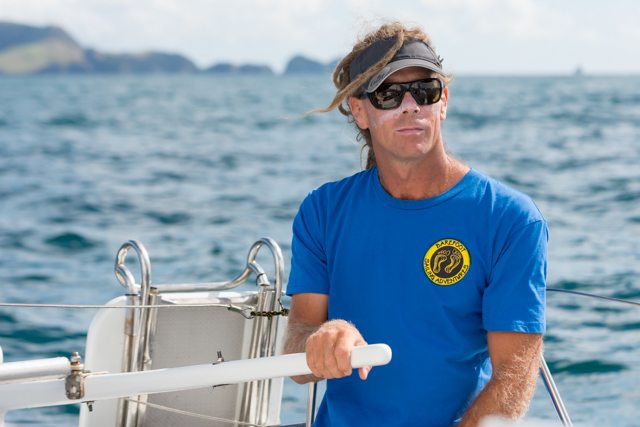 Bay of Islands Barefoot Sailing Adventures – Sundowner Evening Cruise. 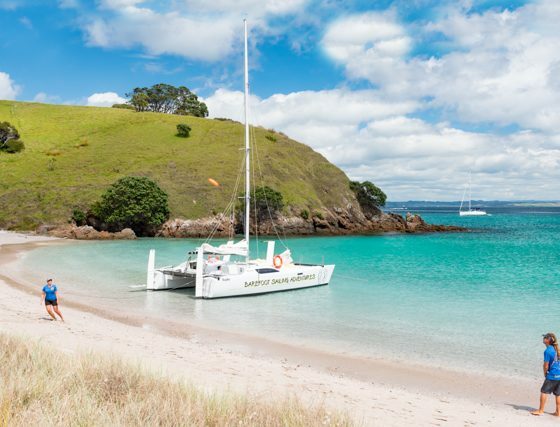 Departing Paihia beachfront at 5pm, the boat pulls right up to the beach where you can step aboard from the shore line. 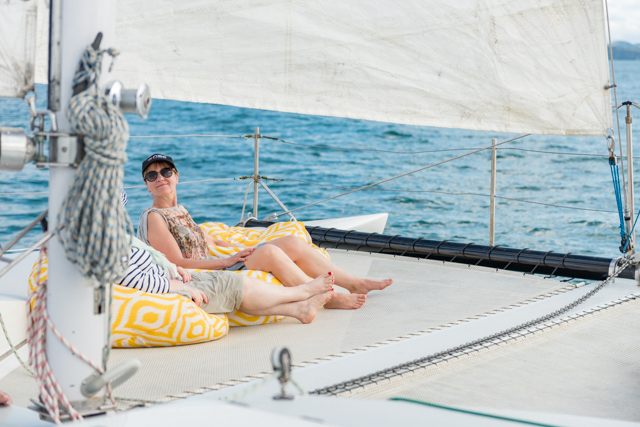 Enjoy a relaxed sail aboard a smooth sailing catamaran in a peaceful setting, while the sun is going down. 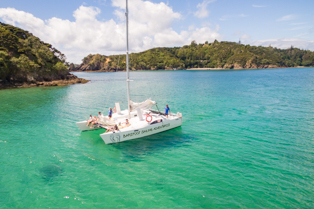 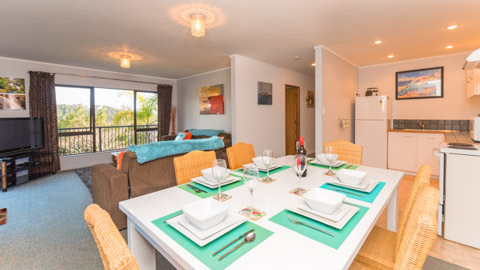 For those who want to enjoy the beauty of an evening cruise taking in the sights of the idyllic Bay of Islands, the Sundowner Cruise is a perfect start to a good night out with friends and family, a romantic getaway, or just the perfect escape from the daily grind! 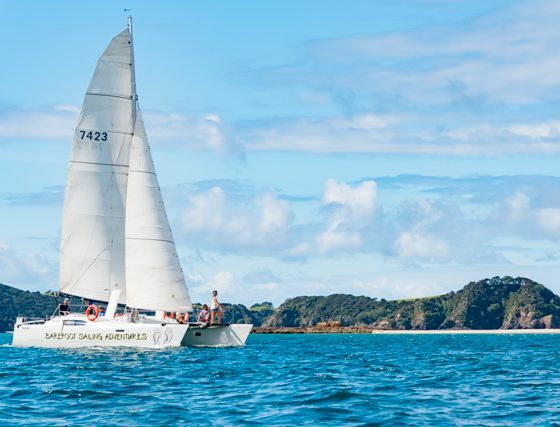 The Sundowner Cruise is ideal for those of you who don’t have a whole day to spend sailing, but relish the chance of getting out on the water. 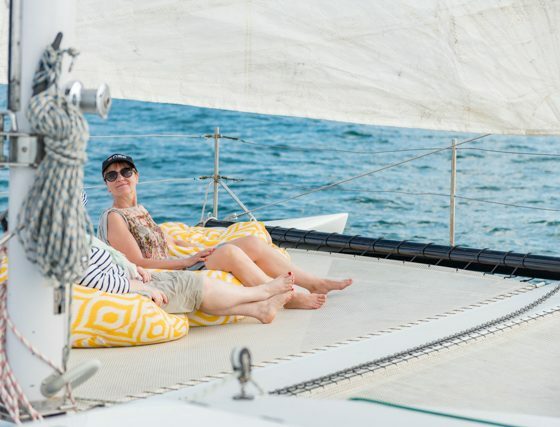 It’s also a great opportunity to experience sailing at a more relaxed and cooler time of day –the atmosphere of an evening cruise is something you just have to experience for yourself! 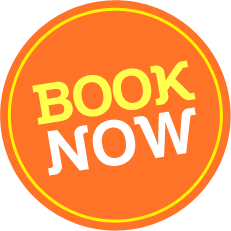 On our evening cruise, you are welcome to BYO beer/wine, so why not enjoy a tipple on a quality cruise, without the high prices. 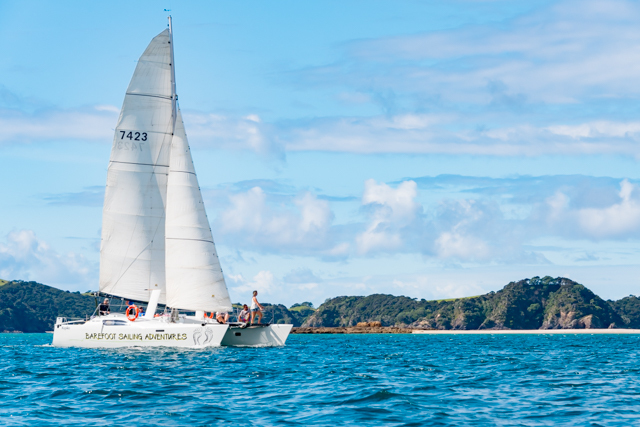 Sundowner Cruises return between 7-7.30pm, just in time for dinner.